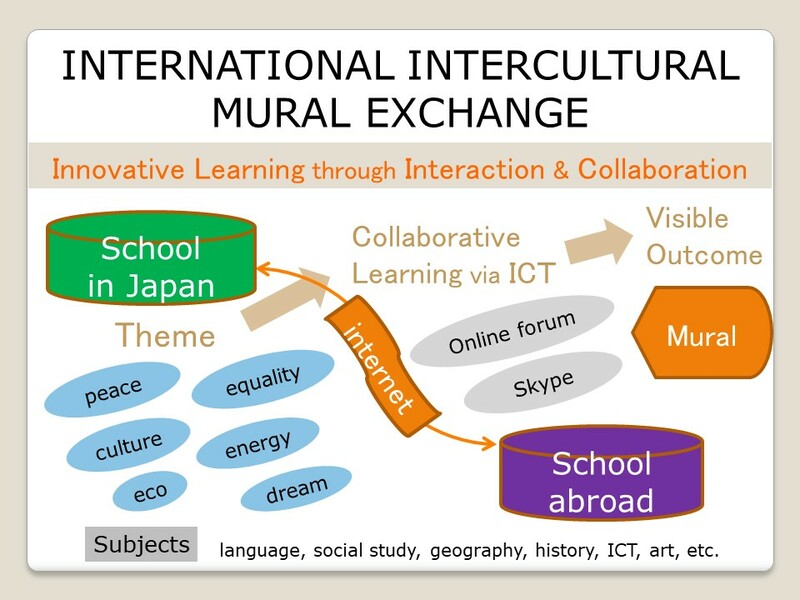 IIME is International Collaborative Learning where schools in Japan and schools overseas interactively learn on global themes using ICT and express what they want to convey to the world on the theme in a visible way, jointly creating one mural (a big picture of 5-12 feet) by halves as their learning outcome. in the opening ceremony of ARTMILE EXHIBITION at UNESCO HQ (Paris) on December 12, 2016.
International Consultant for UN Organization, at the “UNESCO Week for Peace and Sustainable Development:The Role of Education” in Otawa in March 2017. 43,906 students of 1,277 schools from 67 countries/regions participated in JAM’s projects in 2006-2018. 722 murals were completed!